After moving to a humble cottage outside of a tiny Texas town, Debra Monroe rids herself of an abusive husband, battles sexist contractors and workers as she renovates her home, and finally, after several disheartening letdowns, is able to adopt her beautiful baby daughter, Marie. Though elated that her dream is coming true, Monroe faces trials that befall her not just as a single mother but as a white mother of a black child. In On the Outskirts of Normal, two-time National Book Award nominee Monroe's heart creaks "like china with hairline cracks" each time a racist comment rolls their way or stares linger a little too long in their direction. Though she and her daughter face serious undiagnosed illnesses leading to innumerable, painful doctor visits, Monroe remains steadfast in her dedication to Marie and their small but tight family. Reading On the Outskirts of Normal at times feels like driving through an unwieldy thunderstorm at night on the unlit country roads that snake their way to Monroe's house in the woods; readers will feel her exhaustion but will be buoyed by her ever-present faith and fiery love. 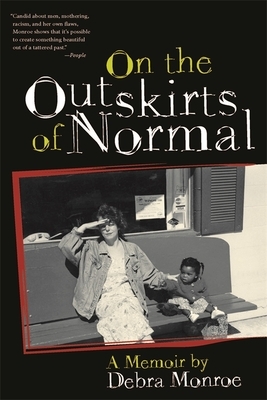 Pulitzer Prize winner Madeleine Blais writes that On the Outskirts of Normal is the "real deal: both a literary triumph and a triumph of the heart." DEBRA MONROE is the author of two story collections, The Source of Trouble and A Wild, Cold State; two novels, Newfangled and Shambles; and two memoirs, On the Outskirts of Normal and My Unsentimental Education. She is a "fierce" writer who presents "ever-hopeful lost souls with engaging humor and sympathy" (Kirkus Reviews), in prose that's "rangy, thoughtful, ambitious, and widely, wildly knowledgeable" (Washington Post), always "fine and funky, marbled with warmth and confusion, but not a hint of sentimentality" (Boston Globe). She lives in Austin, Texas, and teaches in the MFA program at Texas State University.